Frustration inspired Fiona Wilson to develop image2talk. She knew for her students that a communication tool needed to be quick and simple to use. Going back and forth through category pages did not work for her students – they found it frustrating too and this communication frustration lead to challenging behaviour. Fiona is a dedicated teacher who has worked in the field of special needs for over 5 years. She came up with the idea of creating an app for her students following years of unsuccessful trials of existing apps. 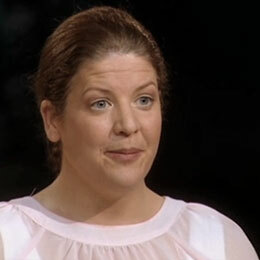 Determined to get funding to proceed with the project, she applied for Dragons' Den Ireland where she was the first ever to get backing from all five Dragons. Originally from Scotland, Fiona lives in Ireland with her partner Peter and their two children Daragh and Aidan.